High quality yet affordable embroidered polo shirts available with a fast turnaround. 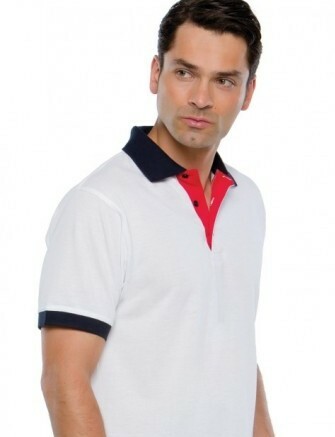 Prices for plain adult polo shirts from Royale Leisurewear are available on request. Royale Leisurewear’s in-house embroidery service is high quality and value for money. 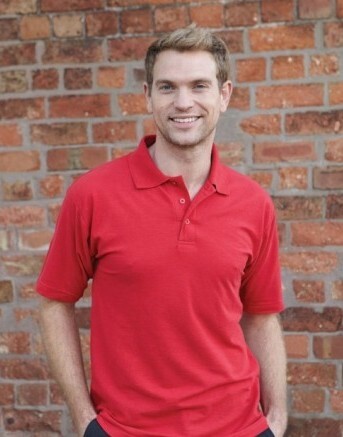 Our embroidered polo shirts are designed to offer optimum comfort and value for money. Embroidered polo shirts ensure your brand or logo is displayed for your customers to see while giving your staff or members a smart appearance and identity. At Royale Leisurewear we use our experience to help you choose the best style of embroidered polo shirt to suit your needs. Royale Leisurewear supply custom polo shirt embroidery and to suit every budget and style, including ladies fit polo shirts, heavyweight or lightweight polo shirts, kids polo shirts, hi-visibility polo shirts, sporty style polo shirts and much more. Why wait? Call us today on 01773-550614 and we will be happy to help you. Alternatively fill in the contact form on our website and we will get back to you as soon as possible. Sizes for Royale Leisurewear’s high quality but affordable custom polo shirt embroidery. Children’s Polo shirts – Sizes available: age 2-3 years, 3-4 years, 4-5 years, 5-6 years, 6-7 years, 7-8 years, 8-9 years, 9-10 years, 11-12 years, 12-13 years and 14-15 years. Adults Polo shirts – Sizes available: XS, S, M, L, XL, 2XL, 3XL, 4XL, 5XL, 6XL, 7XL, 8XL, 9XL and 10XL. Choice of embroidered polo shirts styles may be limited for larger sizes, please ask and our experienced staff will be happy to help.